WordPress is huge, and so is its community. Whatâ€™s more, WordPress was built on collaboration and has always been welcome to new developers contributing to the project. However, while you may want to help the platform grow even further, it can be hard to know where you could apply your skills. Fortunately, getting started with WordPress development is easy, regardless of how youâ€™d like to take your first steps. Thereâ€™s almost certainly a task that will suit you perfectly, whether thatâ€™s contributing directly to the WordPress core, testing for bugs, or helping out in one of many other ways. This piece will look closer at the several different areas of WordPress and how you can start contributing to them. However, first, weâ€™ll talk about what contribution entails, and why youâ€™d want to do it. Letâ€™s dive in! Regular readers of the Torque blog will know that weâ€™ve discussed the reasons youâ€™d want to develop using WordPress previously, and also explored some of the misconceptions that can arise about developing for the platform. Rather than repeating ourselves here, weâ€™ll just say that we think WordPress is the future of web development. There are plenty of recent and future WordPress innovations you may want to get involved with. These include exciting technologies such as the REST API (including how WordPress can become â€˜headlessâ€™) and the impending Gutenberg editor. 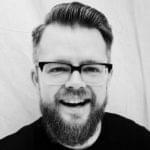 In fact, here on the blog Josh Pollock recently looked at how WordPressâ€™ two biggest innovations work with each other to potentially create stunning designs. For the uninitiated, WordPressâ€™ open-source nature means that everyone can potentially get involved. If youâ€™re a developer, the door opens even wider and enables you to actively contribute not only to the base code, but to documentation, support requests, and more. In the next section, weâ€™re going to talk about the specifics of how to actually contribute to WordPressâ€™ development. 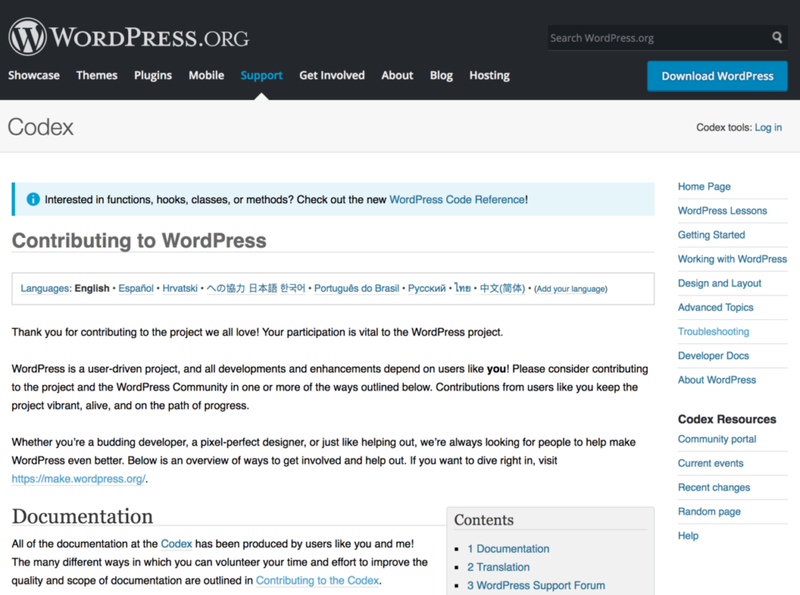 Contributing to WordPress as a developer takes three main forms for first-timers â€“ dive into the Codex, work on core platform code, or help out with WordPressâ€™ myriad other areas. Letâ€™s take a look at each approach in turn. Even if you have no development knowledge, youâ€™ve probably browsed at least one page of the official WordPress Codex. This is a community-run initiative that aims to document every aspect of WordPress in a wiki-style format. Think of it as the knowledge base for both the entire WordPress platform, and the user base as a whole. With this in mind, you can imagine that keeping a project such as this up to date is difficult, especially with WordPressâ€™ update schedule. In addition, because the Codex is a community project, thereâ€™s an inevitable â€˜waxing and waningâ€™ related to which pages and sections are regularly updated. For example, hot WordPress topics such as Gutenberg or the REST API see more attention than esoteric aspects such as specific function calls and hooks. If youâ€™re a WordPress user with development experience, you might want to get your hands dirty under the hood. The open-source nature of the platform means that not only can you develop themes and plugins using WordPressâ€™ own guidance, you can also contribute directly to the platformâ€™s core code. In fact, thereâ€™s a document on the Make WordPress site discussing just how to get involved â€“ the Core Contributor Handbook. 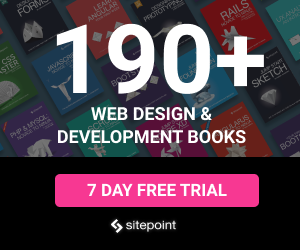 This resource is practically the bible for contributing code to WordPress. It also introduces the plethora of additional ways developers can lend a hand. This handbook is just one of many covering nearly all aspects of WordPress, such as its design, accessibility, and much more. Given the far-reaching scope of WordPress, itâ€™s important to make sure everyone contributing to the platform is (literally) on the same page â€“ especially when it comes to core contributions. Even a quick glance at WordPressâ€™ organization should clue you in to just how large the scope of core contribution can be. Writing code that directly improves WordPressâ€™ functionality. Updating the associated documentation that helps make the platform accessible to others. Itâ€™s worth considering that the platformâ€™s core is just one part of the larger picture, and some of your skills may be transferable to other areas. In fact, depending on your exact skill set, you could contribute at a much higher level than you previously thought. Weâ€™ve mentioned the Make WordPress site in previous sections. Now, letâ€™s take a closer look at it. This is essentially the central hub for all areas of WordPress development. 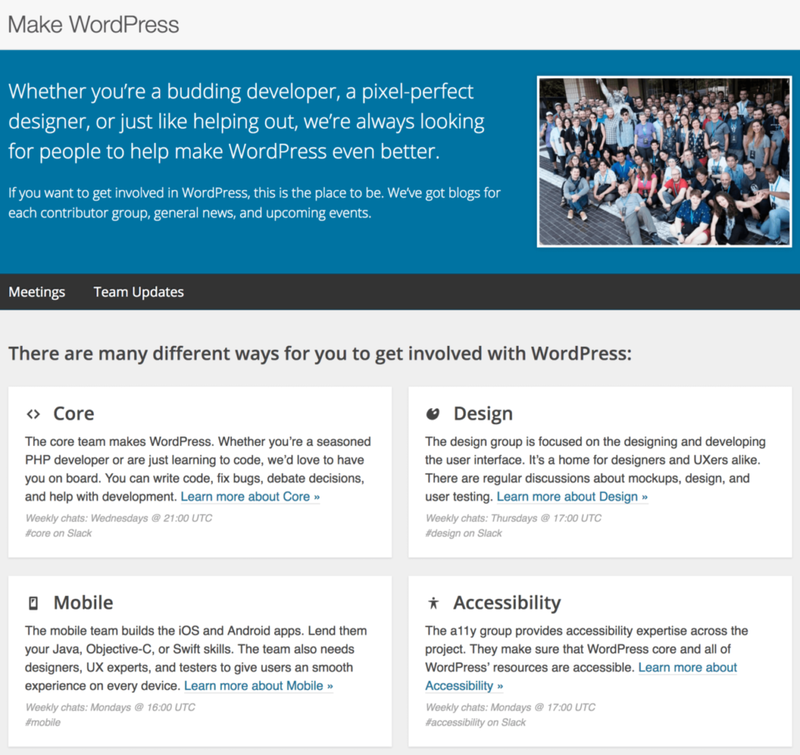 Youâ€™ll find the various facets of WordPress represented by dedicated teams, specializing in design, accessibility, mobile apps, and more. The Make WordPress site is in a way the endpoint for each area of WordPress, and this makes it an ideal place to find a way to get involved. Tide. If youâ€™ve ever seen PHP or other compatibility warnings when viewing a plugin or theme on WordPress.org, youâ€™ve met the Tide team. Tide is a series of automated tests run on plugins and themes and is an important part of the approval (and ongoing quality control) process. WP-CLI. The WordPress Command Line Interface (WP-CLI) is a great way to manage WordPress sites from your Terminal, and the team is constantly striving to make the tool better. Test. In short, the WordPress Test team â€œpatrols, curates, and tests the WordPress experienceâ€� using a Quality Assurance (QA) mindset. They study the flow of the entire WordPress ecosystem on as many devices as possible. They also test document, and report on WordPressâ€™ User Experience (UX). Regardless of your current abilities, thereâ€™s going to be an area where your expertise is welcome and wanted. Contributing to one (or more) of the smaller teams might be more beneficial to you than simply focusing on the obvious development areas. WordPress has cornered the market when it comes to publishing websites, thanks to its collaborative foundation. Itâ€™s arguably the most versatile and easy-to-use platform available, with the most welcoming community to boot! With that in mind, offering up your skills by contributing to the platform helps you gain experience for your own projects, and lets you give back to the community youâ€™re a part of. Check out the official Codex page on WordPress contribution to see whatâ€™s available. 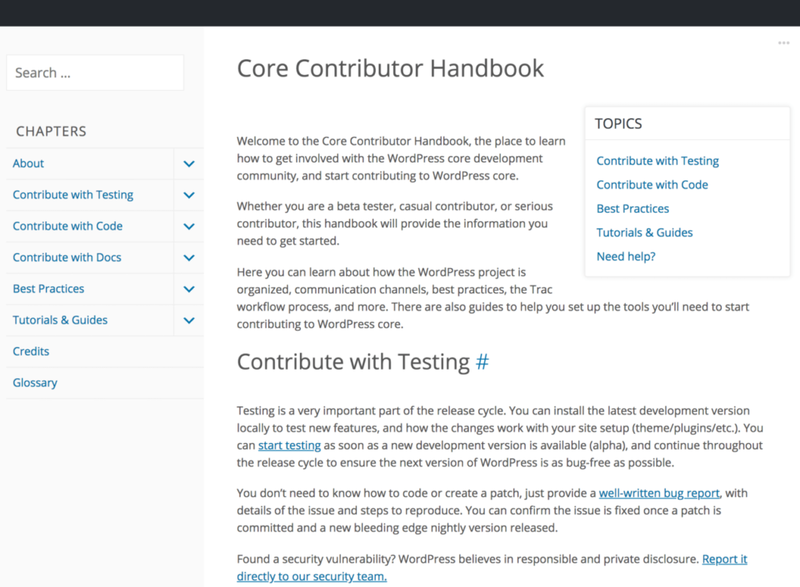 Read the Core Contributor Handbook if youâ€™d like to delve into working with WordPressâ€™ core code. Take in the different areas that require contribution on the Make WordPress website, and lend a hand.